Norbec will be attending the RC Show this weekend! 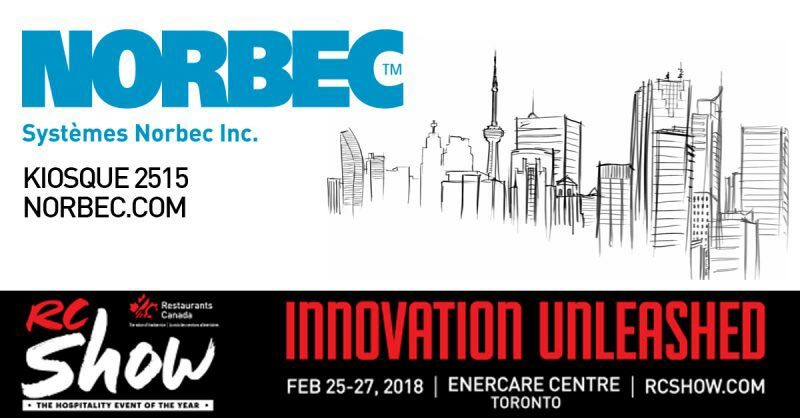 In two days’ time, Norbec will be in Toronto for this year’s Restaurant Canada Show that will be held until the 27th. Don’t hesitate to pass by booth 2515 to inquire about our company and all our products. We look forward to meeting you!